With our community option, parents, students, and other community members can upload photos for your consideration in the yearbook. They can also design and purchase recognition or business ads, shop for school products, and order their yearbook online. Everyone has a chance to be involved! 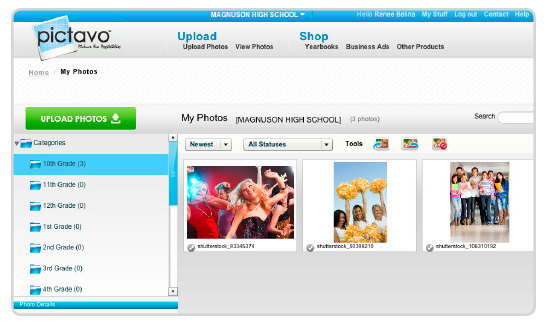 Community Members can upload as many photos as the limit the yearbook staff has set. Images stay organized as members must select a pre-defined folder to upload the images into and indicate who is in the photo. 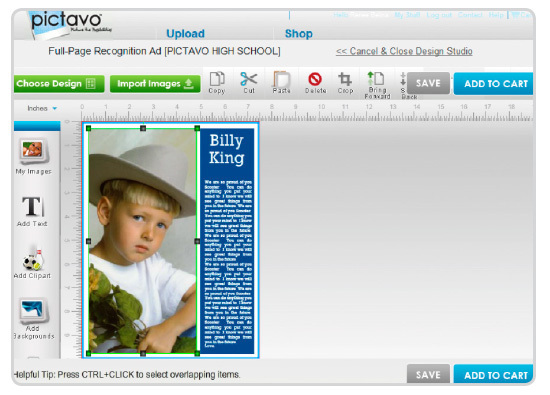 Yearbook staff can easily identify and choose the images they see fit for inclusion in the yearbook. 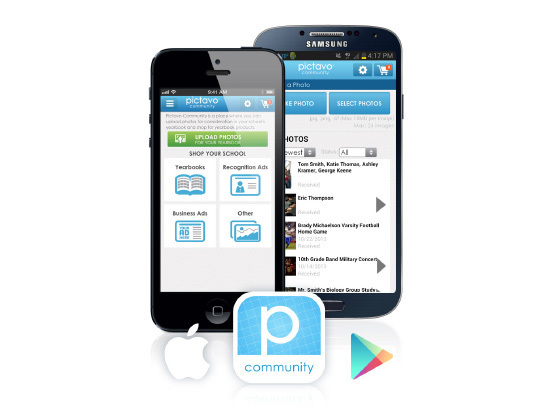 Use the online community app to upload images directly from your smart phone, and stay connected while you are on the go! Shop for everything in one place! 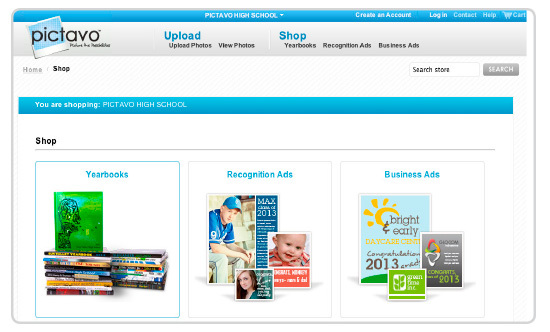 Community Members can view and purchase all the products their school offers, including yearbooks, recognition ads, business ads or any other companion products offered (e.g. signing pens, posters, t-shirts). Both standard and personalized yearbooks can be ordered at once, no need for additional paperwork. 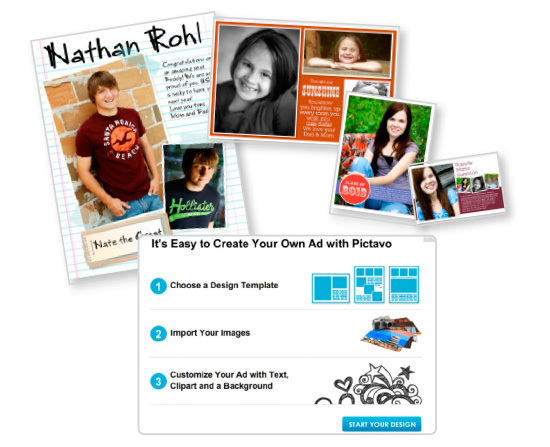 Pictavo Community walks purchasers through the process of choosing a design template based on the desired size, importing their images and customizing their ad with text, clipart and backgrounds. A simple user interface makes editing and creating easy enough for anyone to do! With four standard sizes to choose from, purchasers can customize their ads to either full-page, half-page, quarter-page or eighth-page.